You can now easily Bypass FRP Lock Xiaomi MIUI9 with latest method of March 2018, If your Xiaomi device has MIUI9, or MIUI 9.5, so you can follow this method, if you wanna check your device MIUI version, you can from your device specification by searching in google. We will use “Talkback Method” to bypass google account. Warning: This method to Bypass FRP Lock Xiaomi MIUI9 is only for DEVICE OWNER. 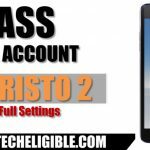 Note: This method has successfully been tested with “Redmi 5 Plus, Android 7.1.2, MIUI 9.5“. -Switch on your Xiaomi Device. -Go back to very first “Miui 9 Screen”. -Long tap for 20-25 sec on Xiaomi Screen with two fingers until you see “Talkback Tutorial” screen popup. 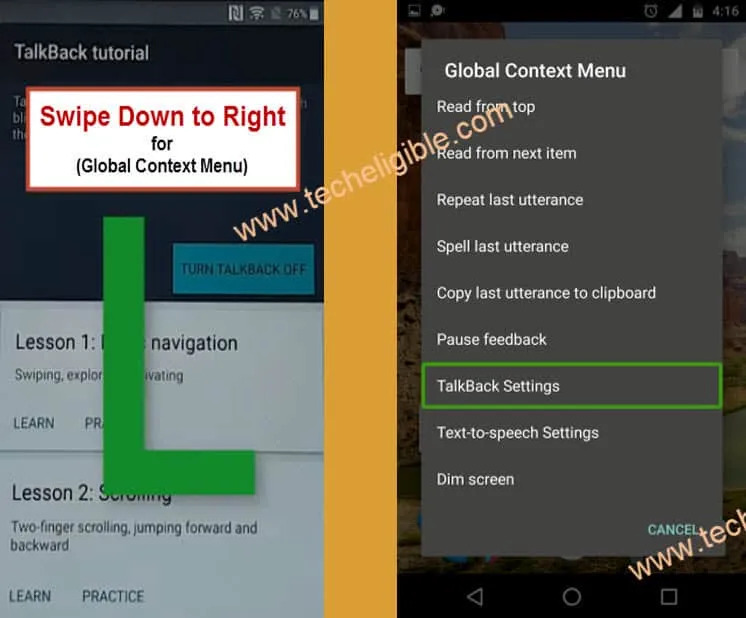 -Draw “L” on “Talkback Tutorial” screen or swipe down to right to bring “Global Context MENU”. -Now Double tap on “Talkback Settings”. -Disable “Talkback Feature” by pressing both (Volume UP + Down) keys together, keep pressing both keys for few second until you see “Talkback disabled”. -Go to > Help & Feedback > Get Started With Voice Access. -Tap on “Youtube Video Play icon”. -After that, tap on “Clock icon”, after that you will be redirected to the Youtube website. -Also you will see “Search Bar” on top of your browser screen. -Type in search bar “Download FRP Tools Techeligible”. 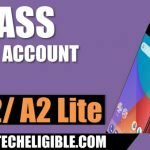 -Go to the relevant page result that match with “Techeligible.com” url. (See below image). 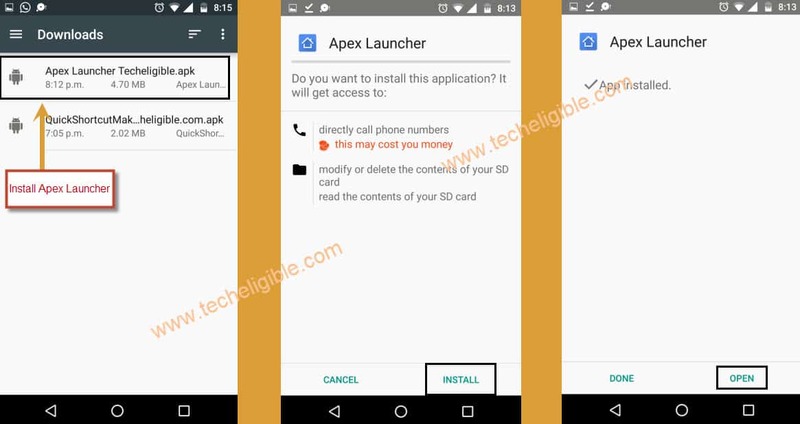 -Download from there “Apex Launcher 3.3.3”. -Once downloading finish, you will get a popup bottom of screen. -Tap on “OPEN” from that popup to install apex launcher. -Now you will have another popup regarding “Installation Block”, tap on “Settings” from the popup window. -Enable “Unknown Sources” from there. 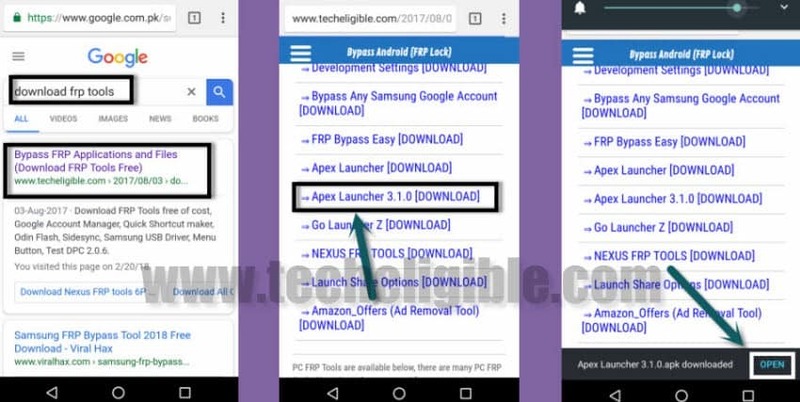 -Go back to “Download Page”, and download again “Apex Launcher 3.3.3”, once downloading finish, you will get again popup bottom of your screen, simply tap on “OPEN” to install app. -Now tap on “Install”, after that tap on “OPEN” to launch Apex Launcher. -Congrats, you have accessed to your Xiaomi Miui9 home screen, but still you need to Bypass FRP Lock Xiaomi MIUI9. -Go to > Settings > About Phone. -From there, tap 7 times quickly on “MIUI 9” until you see “You are now a developer”. -Go back to “Settings”, after that tap on “Additional Settings”. -Tap on “OEM Unlock”, and then you will get popup up, just tap on “ENABLE” to enable OEM Unlock. -Go back to “Settings”, and then again go to “Developer Options” to make sure that, “OEM UNLOCK” has successfully been enabled. -Restart Xiaomi Miui9 device by pressing “Power Key”. -Now you can easily “SKIP” the screen of “Google Verification”. 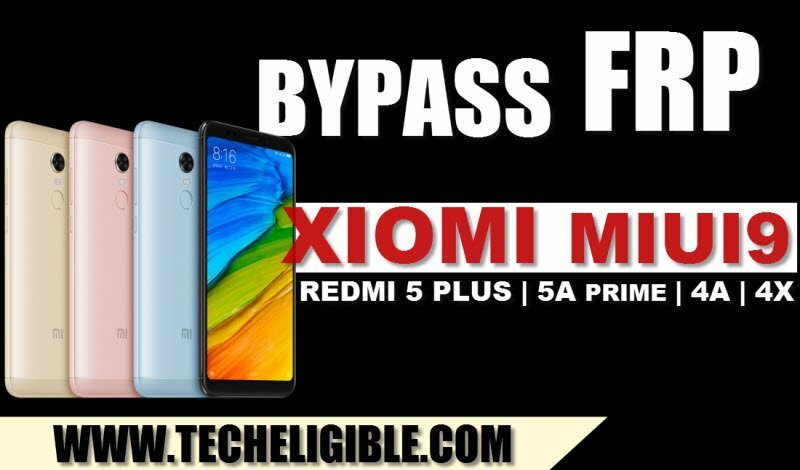 -Complete initial setup, and after that add new gmail account to your Xiaomi device to Bypass FRP Lock Xiaomi MIUI9. Thanks for visiting us, you can ask us any question regarding this post in comment area. Thanks to you. Its work for my Redmi Note 5A Prime. And this is clear and easy step to do. Thanks for the well-written instructions. On my phone everything works well until the point where I should press “OPEN” to launch the apex launcher. My phone does kind of a security check right after installing the apk and after that there’s just the option to press “DONE”, there’s no “OPEN” button. Is there any possibility to bypass this problem? First i would many many thanks to techeligible.. 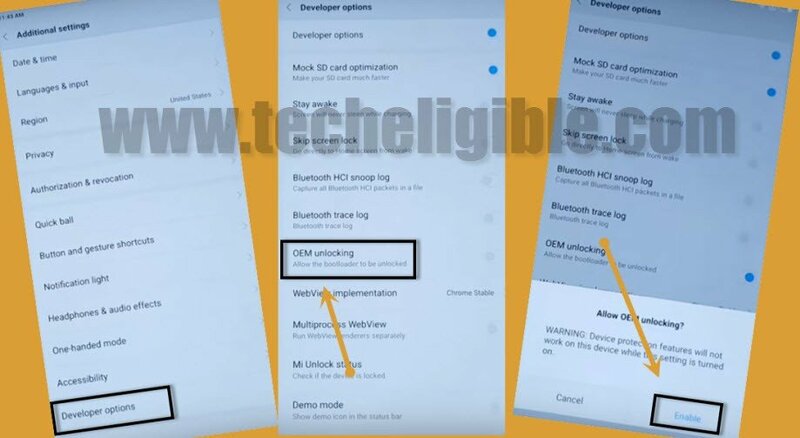 This is step if your failed to enable oem unlock.. If you failed and back to verified email..
You can try step again and go in again to aditional setting-developer setting-developer setting (slide turn off if on)-oem unlock slide on (if you have notification enable or disable ..push enable) -and slide again developer setting /on..
Make sure notification oem unlock must be enable..
And finish restart your phone.. Follow my instagram : @han_tcell. This method doesn’t work for my Redmi 5A MIUI 9.5. The ‘OEM unlocking’ is greyed out (the wordings itself not just the button). Should I flash the software to another version? 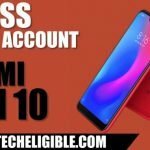 I bought my Xiaomi from Aliexpress 1 month ago and I couldn’t maximize the perfomance. Now with the unlocked phone I can install all the apps and make a better use to my android. It would be so nice if you post more tutorials for this phone. And for example a tutorial to increase game perfomance or how to delete junk files of the phone, my memory is always full. Does anyone know why the ‘OEM unlocking’ option is greyed out/disabled? The wordings are greyed out…not just the button…Pls help!! !